A structural health monitoring project took place on the Iowa Falls Arch Bridge. If a highway bridge fails, the results can be catastrophic. Fortunately, bridge failure in the United States is the exception. And to ensure bridge performance as much as possible, advanced diagnostic testing is needed to complement existing inspection methods to identify damage and deterioration that can compromise structural integrity. In Iowa, such a diagnostic system, one that continuously and autonomously monitors the structural health of bridges in real time, is getting closer to mainstream use. 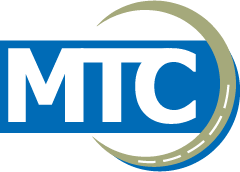 The structural health monitoring (SHM) development project is a joint venture between the Bridge Engineering Center (BEC) at Iowa State University’s Institute for Transportation and the Iowa Department of Transportation. This work has resulted in a patent-pending system known as Bridge Engineering Condition Assessment System (BECAS). The system differs from others because it provides immediate, autonomous data analysis and a much improved method for presenting the data so Iowa DOT engineers can readily use it and also access it later should the need arise. The fully automated SHM system, which uses sensors and software with several specially designed algorithms, was first tested on a U.S. Highway 30 bridge near Ames. Its success led to its yearlong use on the new U.S. 65 Iowa River arch bridge in Iowa Falls. The system has since been installed at locations in Iowa, Illinois, and Wisconsin. The new BEC monitoring system is a major step forward as a “complete and quantifiable bridge assessment tool,” Phares says. In addition to providing real-time alerts of a bridge overload or catastrophic event, it provides historical, quantifiable tracking of changes in a bridge’s structural condition. Phares says the monitoring system provides continuous data that are easily accessible and readily and directly implementable by Iowa DOT staff for timely decision making. “The system can be implemented on basically any bridge type to evaluate general performance in addition to targeted, damage‑prone structural areas,” he says. Implementation continues on several Interstate and high-traffic state highway bridges. Overall, Phares likes what he sees. “I’m really excited about its potential.” A rigorous economic analysis showed that the implementation of BECAS, which results in better maintenance strategies, reduced risk, and increased service life, leads to a notable life-cycle cost savings.